Club Exclusive offers the serious outdoorsman the hunting adventure of a lifetime. 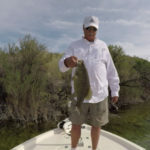 Located on Lake Guerrero just 165 miles south of the Texas border, this hunting lodge set in the unspoiled Mexican countryside offers terrific opportunities to catch trophy size bass and hunt plentiful whitewing dove, duck, geese, and quail. 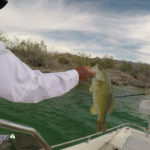 Thanks to catch-&-release, the fishing that Lake Guerrero has to offer has proven excellent in the past and only promises more of the same for decades to come. Club Exclusive can even provide fully rigged bass boats with 48 HP outboards and trolling motors. 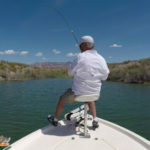 Fishing licenses are issued at the lodge and if you insist on bringing your own boat, boat permits are issued here also. Club Exclusive is the closest hunting facility to the Abasolo Whitewing Colony, the largest whitewing colony in the hemisphere. Mexico’s whitewing dove season runs from August 15 to October 30 this year. Morning Dove season begins on September 1 and runs through December 31. 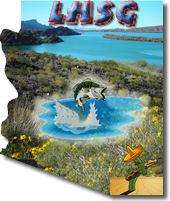 Travel back in time to the days of NO POINT SYSTEM when hunting for duck in Mexico. Club Exclusive will even provide the decoys and duck blinds. Mexico’s duck season lasts from December 1 to February 28. The converging flyways over Club Exclusive provide incredible goose hunting. Resident guides are specially trained in goose hunting. Goose decoys are supplied by the resort. Mexico’s goose hunting season is the same as duck season: December 1 – February 28. Quail hunting is an untapped resource in Mexico. Club Exclusive offers 30,000 acres of leases for hunting quail and you’re welcome to bring your dogs. Kennels are available on the premises, but you are sure to bust plenty of coveys with or without dogs. Mexico’s quail hunting season spans from December 1 to February 28. Transportation to the resort is provided from McAllen, Texas, but you can also fly directly to Club Exclusive’s sister lodge, Big Bass Lodge, which is located very close by and offers similar amenities. You can even drive all the way there on all-paved highways. Club Exclusive Hunting Lodge provides combination hunting and fishing trips that include the use of their own shotguns. This will save you the expense of purchasing a Mexican gun permit for $350.00. Experienced guides, refreshment coolers, cleaning and packing of game and fish, hunting and fishing licenses, transportation to grain fields for bird hunting, and fully equipped 48 HP fishing boats are all included in the combo packages because Club Exclusive wants your trip to Mexico to be one you’ll repeat again and again. 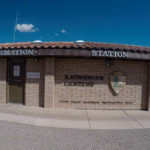 Gasoline is even available on-site and the lodge features a paved boat ramp. 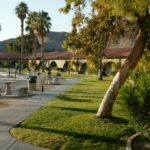 For the traveling outdoorsman, RV campgrounds are available at the resort. Drive all paved highways right up to your lot. Rooms at the lodge are modern with private baths and all are air conditioned. The rooms sleep two to four guests. Wake up with complimentary juice and coffee. The Palapa Bar offers card playing and a satellite TV. The open bar features nachos, margaritas, beer and soft drinks, and a game room with pool tables, darts, and Ping-Pong. The restaurant serves three meals a day and a swimming pool is available.